How do I Train to Climb Kilimanjaro? Climbing Mount Kilimanjaro is a physical undertaking, so you should prepare yourself accordingly with a Kilimanjaro training program. Being in good shape is important in many respects. Obviously, strong, conditioned legs make it easier to walk uphill and downhill for sustained periods of time. General aerobic fitness allows the body to function efficiently with less oxygen. And a fit body is more likely to withstand the stress of consecutive days of hiking and camping. Finally, a positive mental attitude can work wonders for you when fatigue and doubts arise. How hard is it to climb Kilimanjaro? That’s a difficult question to answer because some people don’t train much and fare very well, while others engage in a disciplined training program and succumb to the altitude in a few days. We’ve heard marathon runners tell us that climbing Kilimanjaro is the hardest thing they’ve ever done. The best advice we can give is to train adequately, as described below, and get yourself in the best possible hiking shape. 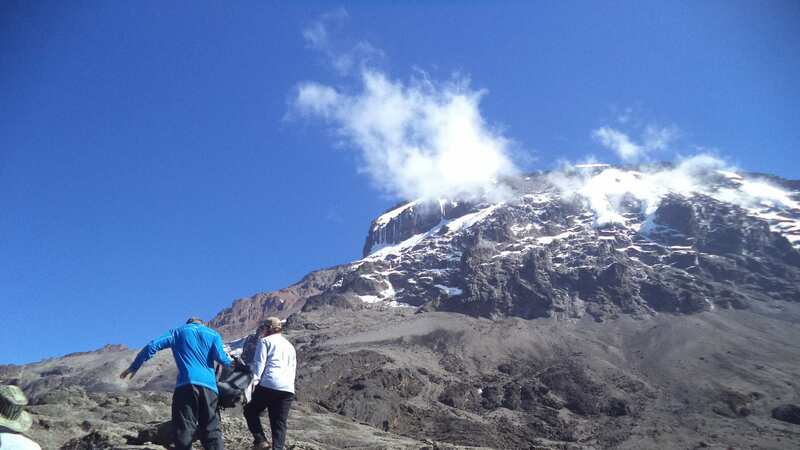 The mountain is a big unknown, and you won’t know with certainty how you will react until you are there.The best exercise that you can do to prepare for Mount Kilimanjaro is hiking. If you’ve never hiked before, you should start with shorter time intervals, a slower pace, and no weight (in your day pack) and then gradually increase all of the above as your fitness level improves. Remember that on Mount Kilimanjaro, you will walk slowly for prolonged periods, and carry probably no more than 20 lbs in your day pack. Therefore, in your training, it is better to increase the time interval/distance and keep a slow pace than to shorten the time interval/distance and increase the pace. Try to train three times a week, for at least one hour per session, at a minimum. If you can do day hikes for four to six hours, with moderate elevation changes (~1,000 ft/305 m) while carrying a 20 lb pack, or if you can walk on a Stairmaster for 1-2 hours, at 30 steps per minute while carrying a 20 lb pack, then you’re probably ready for the real thing. So get that date with destiny booked, put on your boots and get out there walking!